Dr. Wei Xu believes that the foundation for managing a patient’s pain or functional deficit is conducting an extremely thorough assessment. 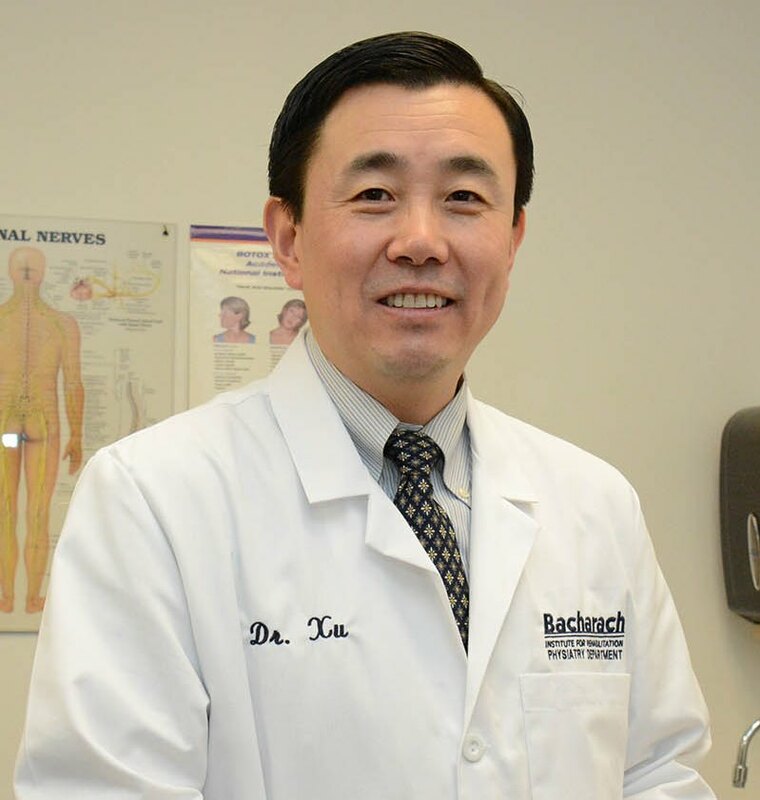 Dr. Xu, a specialist in Physical Medicine and Rehabilitation, joined the medical staff at Bacharach in 2012. Dr. Xu has expertise in electrodiagnostic testing for neuromuscular disorders as well as management for conditions such as muscle pain, joint pain, neck and back pain, and tendon/ligament issues. Dr. Xu explained, “A physiatrist is a physical medicine and rehabilitation doctor.” He is one of five physiatrists at Bacharach who help patients with spasticity, post-polio, pain management, EMGs, musculoskeletal injuries, gait dysfunction, debility, MS, Parkinson’s disease, weakness from stroke or spinal cord injury and other conditions. Working together as part of a multidisciplinary team, Bacharach physiatrists provide evaluation, diagnosis and treatment options. They work with physical and occupational therapists, speech-language pathologists, psychologists, nurses, case managers and other team members. They oversee each patient’s plan of care and provide comprehensive interdisciplinary programs. Physiatrists see patients for many conditions as well as for pain and chronic pain. No matter what the underlying cause of a patient’s pain may be, Dr. Xu believes in physical and/or occupational therapy and development of a different protocol and program for each individual patient.